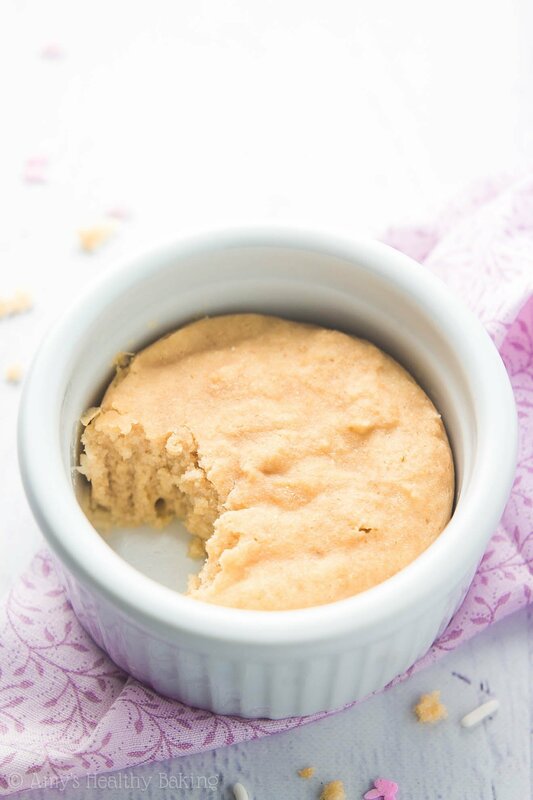 An easy & healthy recipe for a single-serving tender vanilla cake made in your microwave. 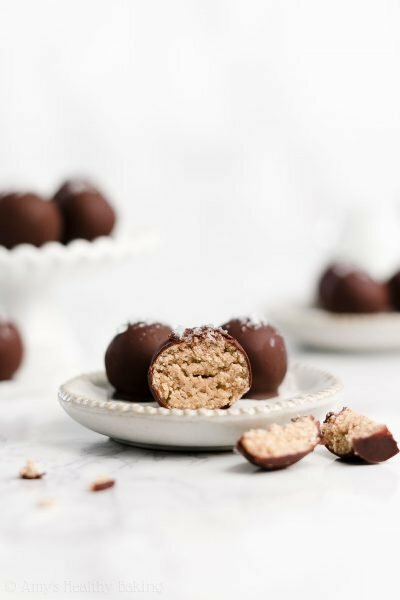 It’s ready in 5 minutes & perfectly sweet—and completely guilt-free, too! Last week, a friend of mine from elementary school planned to move to Southern California to finish her nursing degree, so I stopped by her mom’s house the night before she and her dad drove a U-Haul down the coast to move everything into her new apartment. I brought along my mom, seeing as our mothers stayed friends over all of these years, as well as my new Healthier Chocolate Treats cookbook as a gift. My friend loves baking as much as I do! Although we hadn’t met up for years, there were big hugs all around as soon as we walked through the front door. My friend showed me through to the kitchen, where she packed up a few freshly baked pumpkin cheesecake muffins (yum!) for us to take home; then we all settled into the comfy chairs and sofas in their living room. Mom and I planned to stay for only a few minutes, but somehow an entire hour flew by while we chatted! My friend and her mom had stayed just as sweet as ever, and with the same sense of humor and plenty of interesting stories to tell, we spent most of the time laughing. People like that are so fun to be around—and really reenergizing, too! 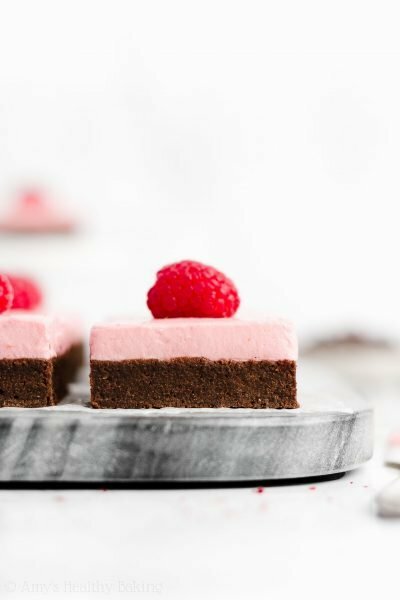 While we visited, my friend slowly flipped through every page in my cookbook, admiring the photos and mentally bookmarking everything that she wanted to make. (Such a sweetheart!) We talked a little more about baking while our moms exchanged stories about the holiday season, and before we left, my friend asked if I had any mug cake recipes on my blog. 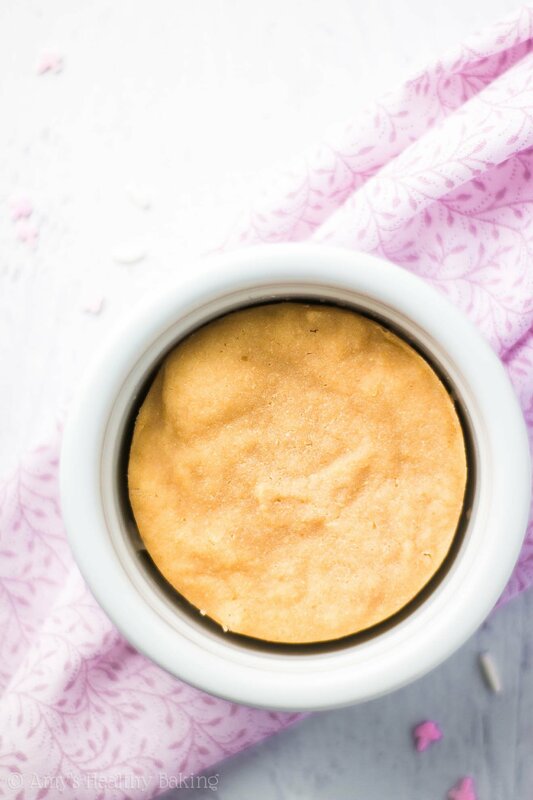 So in honor of her, I started working on developing the recipe the next day, and here it is: this Skinny Single-Serving Vanilla Mug Cake! 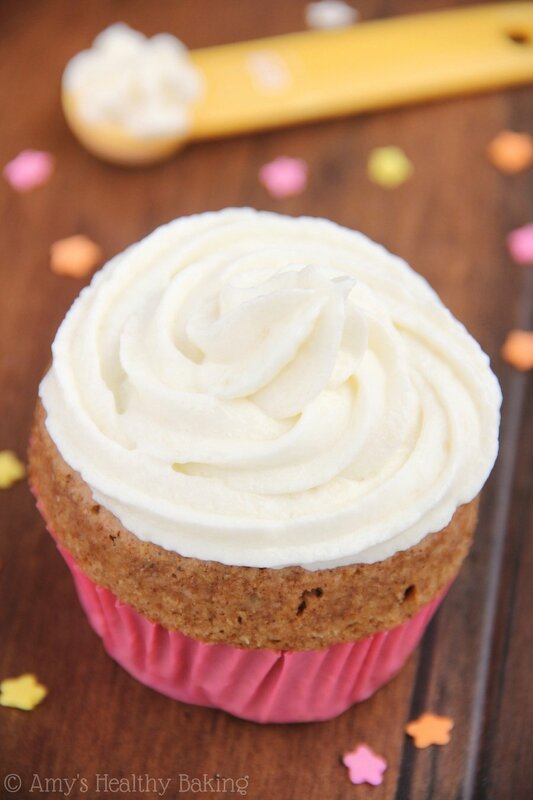 It’s perfectly sweet and tender, with the same exact texture as regular cupcake you’d bake in the oven, but it’s ready in just a fraction of the time. And there are no leftovers tempting you to overindulge, either! 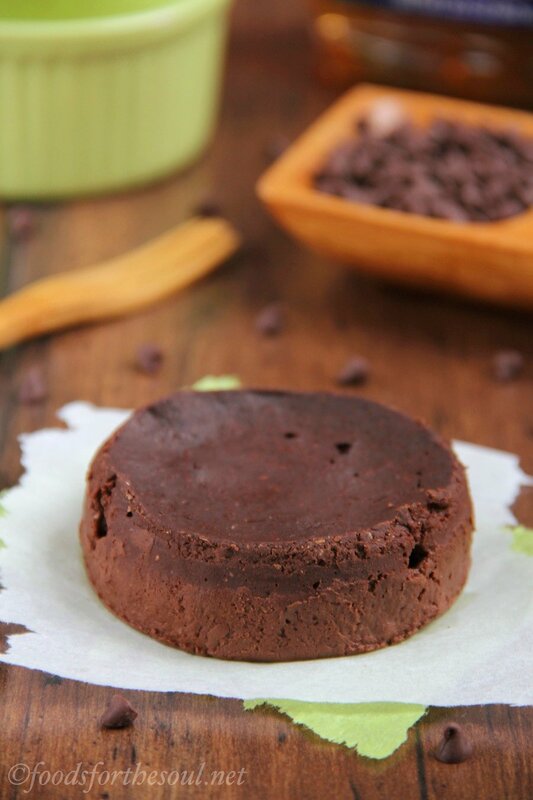 This healthy dessert recipe begins with white whole wheat flour. White whole wheat flour is made from finely grinding a special kind of white wheat, whereas regular whole wheat flour comes from red wheat. This gives the white whole wheat flour a much lighter taste and texture. It’s very close to that of all-purpose flour, but it still has the same health benefits as regular whole wheat flour! Whole wheat pastry flour would be a great substitute, if you prefer. 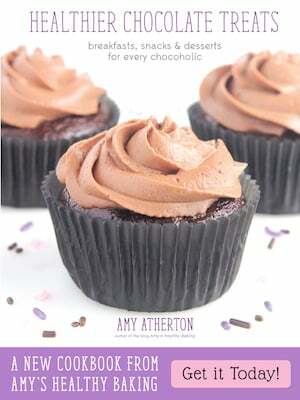 Note: My favorite gluten-free flour blend is included in the Notes section beneath the recipe! Because this is a single-serving recipe, it’s very important that you measure the flour correctly. Too much flour will quickly dry out your cake batter and make your cake crumbly! While the spoon-and-level method will work, it’s a little tedious with tablespoons instead of cups, so I highly recommend a kitchen scale. This is the inexpensive one that I own, and I use it for every recipe that I make for this blog because it ensures my treats turn out with the perfect taste and texture every time. Unlike traditional mug cake recipes that include 2 tablespoons of butter and an egg yolk (that’s 260 calories right there! ), this easy one requires just ¼ teaspoon of butter. Yes, that’s right! 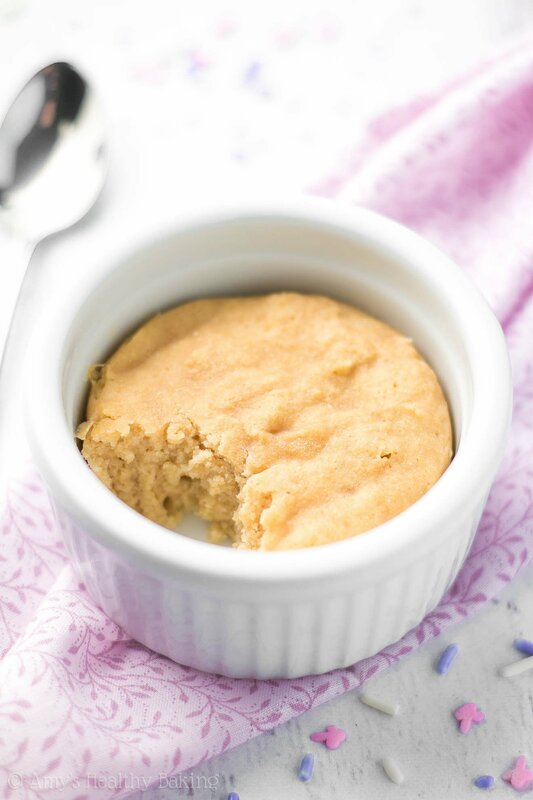 The rest of the perfectly moist and tender texture comes from my favorite ingredient in healthy baking… Greek yogurt! 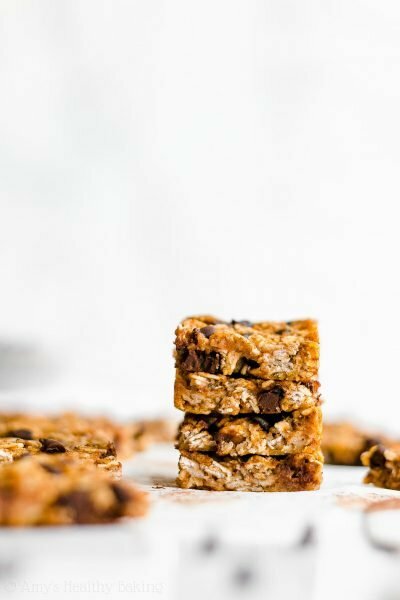 It provides the same moisture as extra butter or oil for a fraction of the calories, and it gives your baked goods a little protein boost, too! 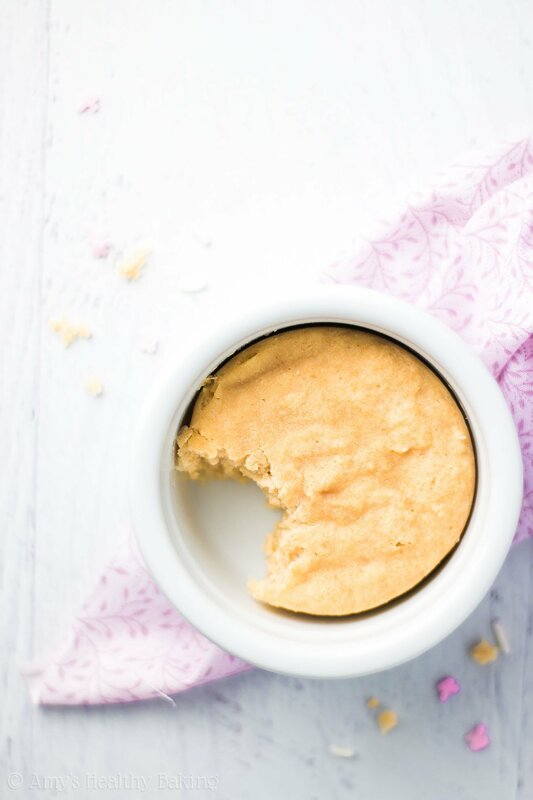 This healthy mug cake recipe differs from traditional ones in another way: you’ll cook the mug cake on 30% power instead of on HIGH. Reducing the power and cooking the mug cake for longer better simulates how a regular oven bakes treats. This trick prevents the mug cake from turning gummy and ensures it turns out with a perfectly tender texture! If you open the microwave door as soon as the timer goes off, you may see that the center looks a tiny bit underdone. That’s okay! It’ll continue to cook through as you let the mug cake rest, so a few minutes later when you dig in your fork, it’ll be just right. 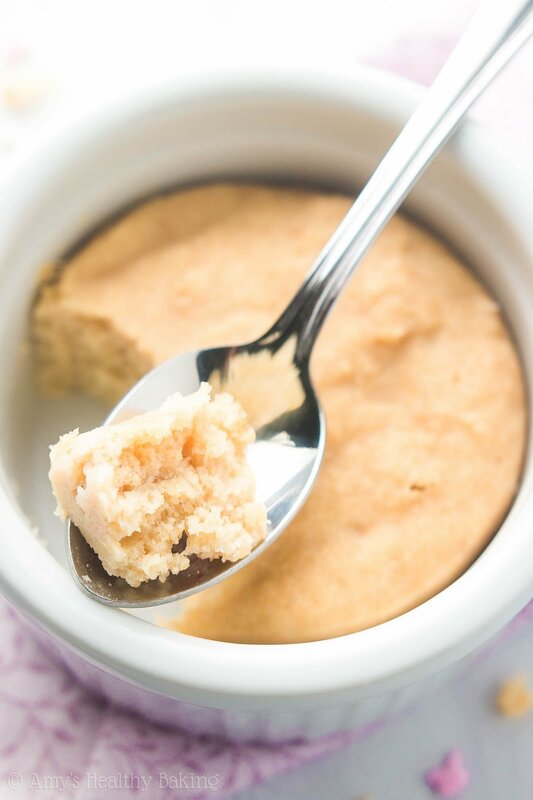 I’ve made one of these nearly every single night for the past week… Because it’s the BEST vanilla mug cake recipe I’ve ever eaten! 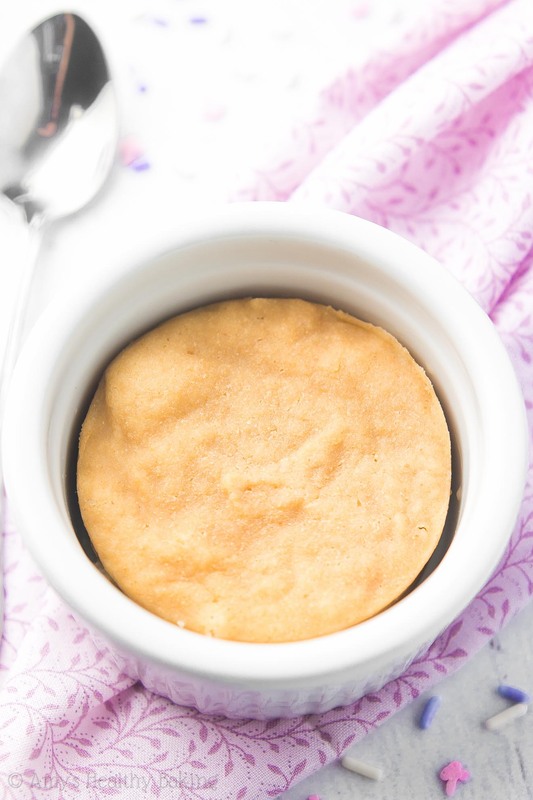 This tender mug cake is a complete lifesaver! It’s perfectly sweet and full of warm vanilla flavors, and because it’s ready in barely 5 minutes, it’s the ideal cure for those strong dessert cravings. Plus there aren’t any tempting leftovers to worry about! 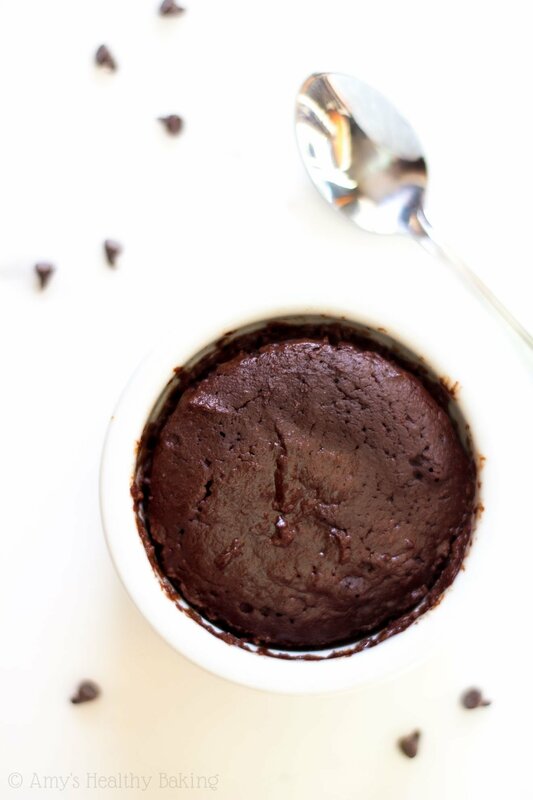 Lightly coat a 1-cup ramekin with nonstick cooking spray. In a small bowl, whisk together the flour, powdered stevia, baking powder, and salt. In a separate bowl, stir together the butter, Greek yogurt, and milk. * Stir in the vanilla and vanilla crème stevia. Gradually mix in the flour mixture, about 1 tablespoon at a time, until just incorporated. Spread the batter into the prepared ramekin. Microwave on 30% POWER for 2 minutes 40 seconds (2:40). Let the mug cake cool for at least 2 minutes to allow the center to finish cooking through before enjoying. 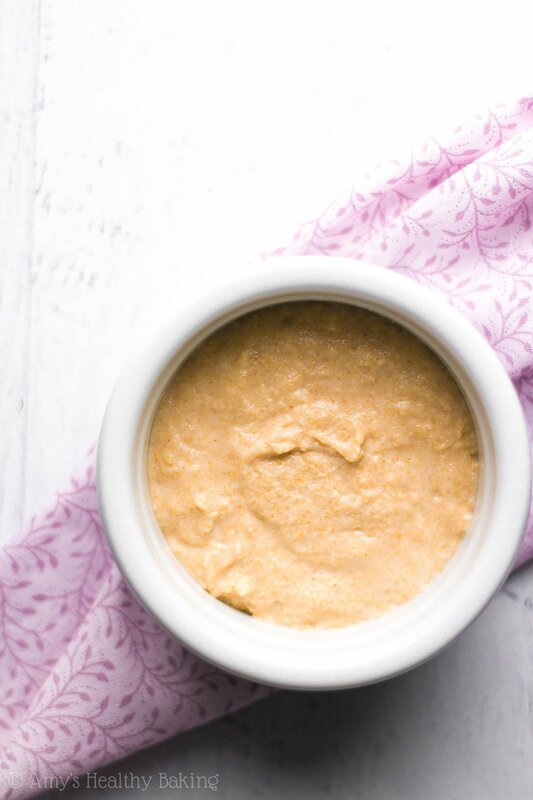 Notes: For the gluten-free flour, use the following blend: 2 tbsp (15g) millet flour, ½ tbsp (4g) tapioca flour, ½ tbsp (3g) brown rice flour, and 1/16 tsp xanthan gum. I cannot guarantee that other gluten-free flours will work, but most store-bought gluten-free flour blends should work, if they’re measured like this. Do not substitute coconut flour. Whole wheat pastry flour or all-purpose flour may be substituted for the white whole wheat flour. 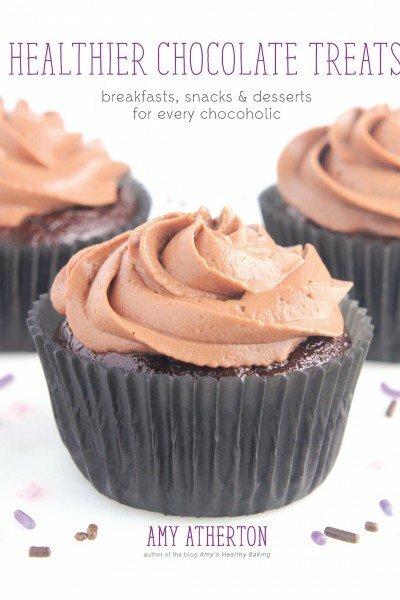 You’ll use two types of stevia because too much of either type results in a very bitter aftertaste to the mug cake. 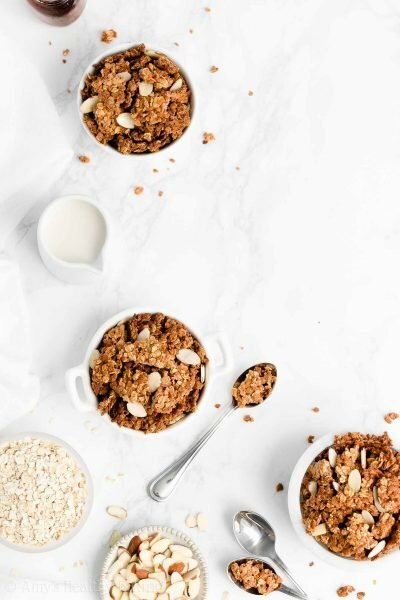 Other sweeteners may be substituted in place of both the powdered stevia and vanilla crème stevia, but you may need to adjust the amount of flour or milk depending on the type of sweetener that you use. You’ll need the equivalent of 2 ½ tablespoons of granulated sugar. If the yogurt and milk are cold, they will immediately re-solidify the melted butter. If this happens, microwave on HIGH for 6-8 seconds or until the butter re-melts; then proceed with the rest of the instructions. It’s VERY important to microwave the mug cake on 30% power. This is set differently depending on the brand of microwave that you own. If microwaved on HIGH (full power) for a shorter time, the cake will be gummy, and the top may be overdone while the insides stay raw. Microwave times may vary, depending on the wattage of your microwave oven. I used a 1000-watt microwave. 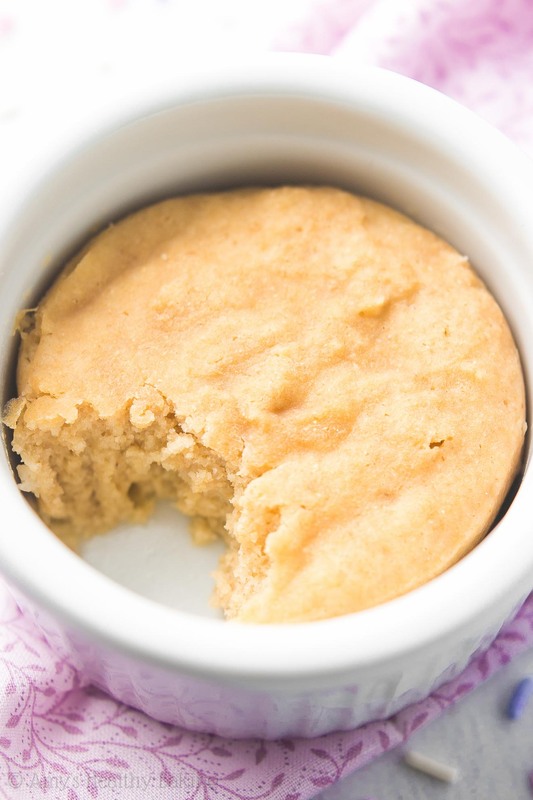 To bake the mug cake in a regular oven, bake at 350°F until the top feels firm to the touch and a toothpick inserted into the center comes out clean. I haven’t cooked the mug cake this way myself and can’t guarantee how long it will take, but check for doneness after about 12-14 minutes to start. I found your recipe on Google searching “vanilla mug cake” and I so wish you would make a bad girl version of this :D. I don’t have Greek Yogurt and a lot of these other healthy things lying around, so I mixed your recipe with one I found on instagram and it was the best mug cake I’ve had in a while. I did 4 tbsp pastry flour, 1 tbsp each of white and brown sugar, vanilla, egg yolk, 1 tsp butter, 1.5 tbsp milk, 2 tbsp chocolate chips, mixed wet/dry and voila! If I had to do it again, I’d either do 3 tbsp flour or microwave at 30% for 1 min 45 instead of 2 mins. Wasn’t exactly dry, but could’ve been better. What threw me off is that the batter seemed to have too much liquid and I added more flour. In hindsight it was probably just right. Thank you for the mug cake recipe inspiration :D.